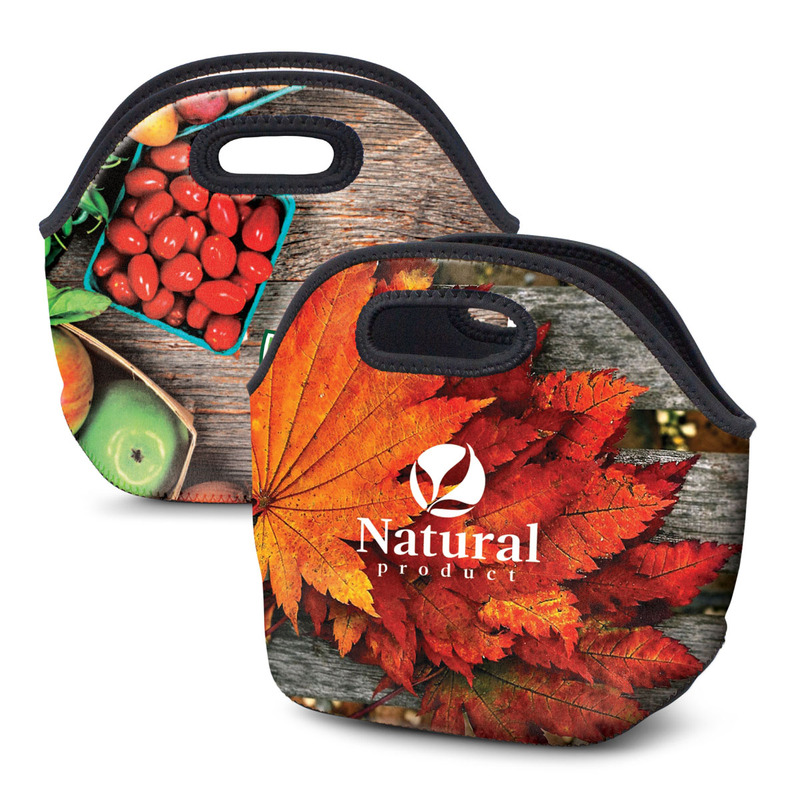 Stand out with these vibrant lunch cooler bags. 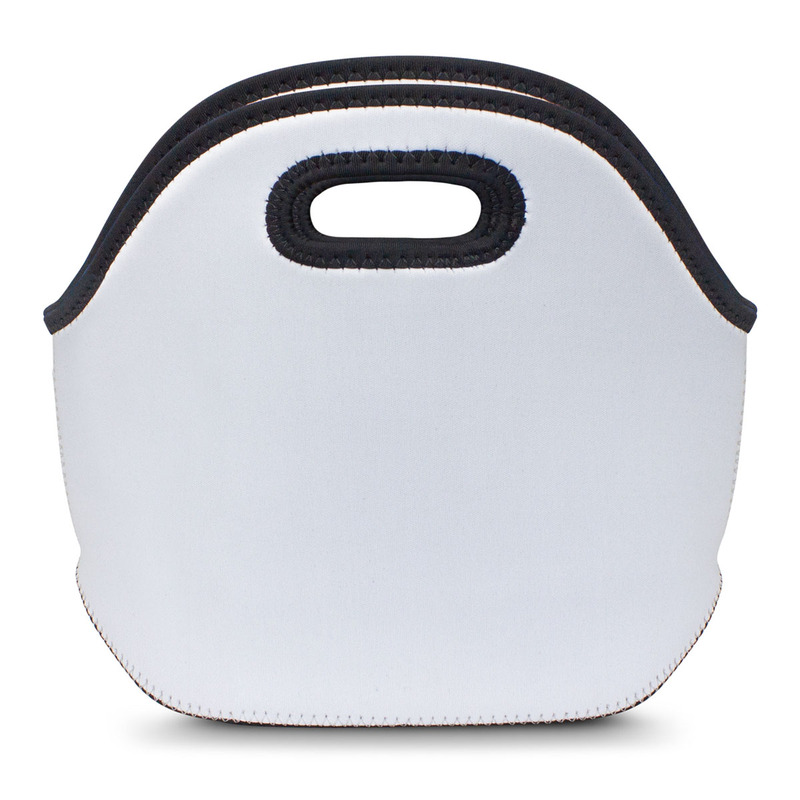 Unlimited colours with all over branding. Made from 4mm neoprene these bags can be branded in full colour all over for maximum branding impact and the potential for some interesting designs. They have a black base, black stitching and black binding around the carry handles and top edge. 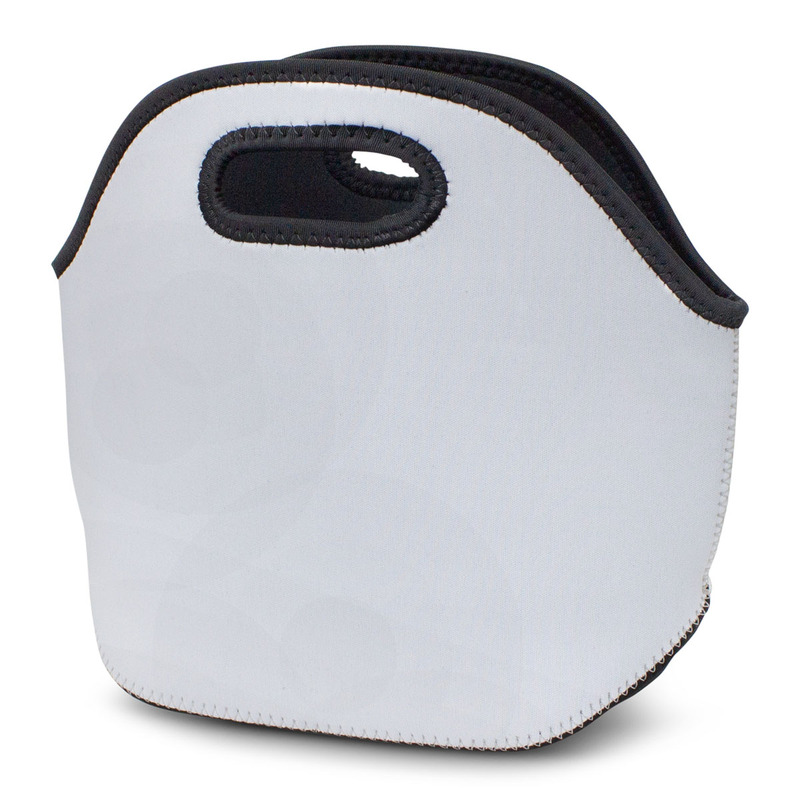 Neoprene has excellent insulative properties making these bags great for carrying lunches!